Vanessa Clark of Sinclair Clark is sponsoring the forthcoming DC Croydon Conference and will be attending throughout. Click on the years below to view archived news. 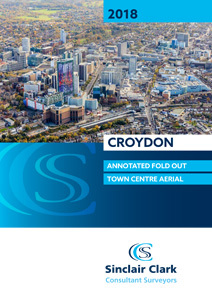 Click below to download the latest copy of the Sinclair Clark Croydon aerial map.